Honor 8X price in India starts at Rs 14,999 and it goes up to Rs 18,999 for the top-end model. It goes on sale starting October 24 via Amazon. Honor 8X is the latest smartphone from Huawei’s stable, featuring a 6.5-inch notched display and a Kirin 710 SoC. Honor 8X has been launched in India, the company’s latest mid-end smartphone. The 4GB RAM and 64GB storage model is priced at Rs 14,999, the 6GB RAM and 64GB storage variant will be priced at Rs 16,999 and the 6GB RAM and 128GB storage model will cost Rs 18,999. The smartphone comes in red and blue colour options. The new Honor 8X is exclusive to Amazon India and will go on sale starting October 24. 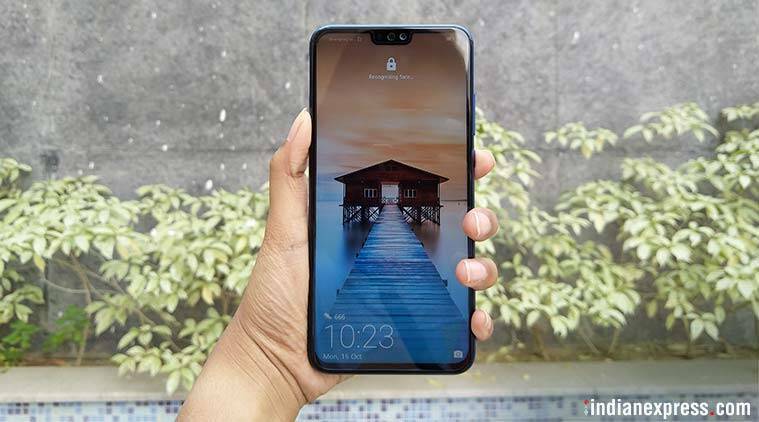 Speaking of its specifications, Honor 8X features a 6.5-inch full HD+ notch-display with an aspect ratio of 19.5:9. The phone has a metal and glass-clad design and comes with a dual-tone aurora gradient back panel. The phone houses vertically stacked dual cameras at the back having a 20MP primary sensor with f/1.8 aperture and a 2MP secondary sensor for depth effect. The stock camera app offers a host of features including Portrait mode, Night mode, Aperture, AR Lens, Slow-mo etc. Up front, it has a 16MP camera sensor that supports a bokeh effect. In terms of hardware, Honor 8X is powered by Huawei’s latest HiSilicon Kirin 710 processor which is paired with 4GB of RAM. The phone comes with an internal storage of 64GB. On the software front, the phone runs EMUI 8.2 based Android 8.1.0 Oreo. Honor 8X includes a rear-mounted fingerprint sensor and comes with facial unlock support as well. It has a dedicated microSD slot as well that supports up to 528GB of external storage. Honor 8X packs a 3,750mAh battery and bundles 5V/2A charger. Connectivity options on the phone include- Wi-Fi 802.11 a/b/g/n/ac, Bluetooth 4.2, micro-USB port, USB OTG, FM radio and a 3.5mm audio jack.